So if you’ve read my post about how to truly be vintage, you must have seen how a man was acting back then. The term “gentleman” is unfortunately pretty much lost nowadays, but I’m proud to say that I have met some true and amazing gentlemen in my life. The one of them was my amazing grandpa, who I didn’t have the chance to meet since he died when I was very little. The other, is my beloved father who’s always there for all of us. The third one is our dear friend Malachi who unfortunately left us some days ago. I’m sure he’s taking care of us from above though and despite his death, he still lives through our memories. I am very sure he inspired many men to become true gentlemen and many women to get in the vintage lifestyle (as he did with me). The other one and last true gentleman I’ve met till now, is my great friend Max Winters! Yes, Max from The Young Gentleman’s Guide! I’m very happy to tell you that for today’s post I’ve asked Max a few questions to make things clear around this topic! He’s the right one to give us the right answers, don’t you agree? Let’s see what a true gentleman in our modern world has to say. A vintage Athenian: Who helped you become the true gentleman you are now? A vintage Athenian: Is being a gentleman hard nowadays? What are your difficulties? Max: For me, it can be incredibly difficult at times. I’m like an American bison, I can be very patient but have a relatively short temper. If someone really gets in my nerves, it doesn’t take long for my gentlemanly demeanor to essentially melt away. From the movie The 12 angry men. A vintage Athenian: Do you think that being vintage and being a gentleman is connected? If so, how? Max: Absolutely! The art of being a true gentleman is essentially a relic of the past. 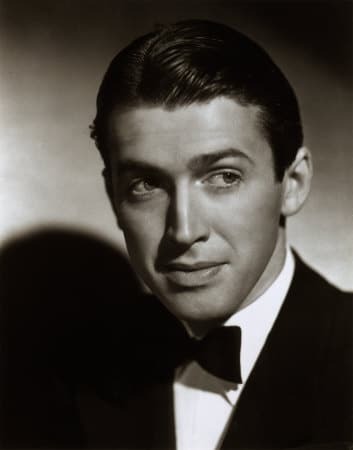 If you look back at men like Dean Martin, Jimmy Stewart, Henry Morgan, Frank Sinatra, or even fictional characters like James Bond or Indiana Jones, they were men who knew how to be gentlemen. They were kind, they were funny, they were cordial, they were suave, they were well-spoken, I could keep going. The point is, to those of you reading this, how many men do you know who exude those qualities? A vintage Athenian: Why do you think people find it hard to have good manners in our times? Max: There can be a number of reasons why, but I think the biggest culprit is our disconnection with Christian values. While I obviously can’t speak for the entire western world, I think it’s safe to say that most western nations were founded on at least some elements of the Judeo-Christian tradition, while not explicitly being Christian nations. It’s these values that helped teach men to be true gentlemen; it taught them to be respectful to those who respect them, treat their fellow men with fairness, care for women and children. And since we’re now living in a generation with the largest disconnect from those values in history, boys and young men are starting to lose the values that helped form the very nations in which they lived. A vintage Athenian: What are the most important things a gentleman should be doing? Max: The two most important things for a gentleman to do today is to be grateful and to stand up for what he believes in. In today’s social and political climate, the victim narrative is now more powerful than ever, and as such, people, especially young men have essentially forgotten how to be grateful for what they have or what they’ve earned, despite how lucky they are to even be alive today. On top of that, men like me are constantly demonized for what they believe in, whether it be social, political, or religious, even though most of us don’t have anything to apologize for. As a result, many young men are defying their core beliefs just to be accepted among the social justice crowd. “If you believe in something, you sign your name to it.” If there’s one quote men should live their lives by, it’s that one. A vintage Athenian: Can someone become a true gentleman when they have not learned how to be like that in their entire life? Max: Of course! It’s never too late to learn how to be a gentleman. It may take a little more time if you start later on, but don’t let that stop you! A vintage Athenian: How should a true gentleman approach someone and ask them out on a date? Max: Just be confident, be direct, and be yourself. So many of today’s “relationships” start essentially because of rumors. “I heard from this guy who heard from this girl that this other guy likes you” and things of that nature. If you like a person and want to ask them out, just be direct and do it yourself. And whenever possible, ASK THEM IN PERSON! Even if you don’t end up going on a date, you’ll still connect with the person better than if you just texted them asking if they wanted to go for that cup of coffee. Rita Hayworth and Anthony Quinn in Blood and Sand (1941). A vintage Athenian: How should a true gentleman act in a relationship? Max: Treat her like she’s the most important person in the room. Hold the door for her, help her into her seat, pick her up at her house, offer to walk her inside, offer to pay the check. While many women today see these practices as sexist or demeaning, I and most other gentlemen see these things as signs of respect if anything else. If your lady really does mean that much to you, these practices will help her see that, and you’ll both end up connecting on a much deeper level. Also, don’t be afraid to be corny or cheesy. Bring her that bouquet of flowers, sing that song to her, make her feel like a princess. Charles Farrell and Janet Gaynor. A vintage Athenian: Tell us one thing a gentleman should NEVER do! Max: NEVER let just words get to you. If someone says something insulting or demeaning to you, it certainly can be very hurtful, but words only have as much power as you give them. A true gentleman will maintain his composure no matter what anyone says to him. It’s perfectly acceptable to retort or respond to someone’s words, but letting them get to you to a point where you end up hating them or holding a vendetta against them won’t help anyone, especially yourself. A vintage Athenian: Finally, why is being a gentleman so important nowadays? Max: True gentlemen essentially helped build western society. They were builders, artists, politicians, husbands, and fathers. If men today aren’t taught how to properly respect others, care for their families, and stand up for themselves, our society will fall apart. So that was it darlings! As Max said, it’s never too late for someone to become a gentleman but as you realized, it needs time and patience! Moreover, if you want to be in the vintage scene and have a true vintage lifestyle, you will have to start acting like a gentleman. However, since i’m not the one to teach you, you better check out Max’s blog, The Young Gentleman’s Guide to start learning how to do that! Thank you so much Max for this amazing interview! I hope you enjoed today’s post loves! I will see you on my next one! Afternoon gents, it’s Max from the Young Gentleman’s Guide here! So, it’s been a pretty crazy week for me with 4th of July celebrations and family visiting from out of town. This led me to fall behind a bit in my writing, but I didn’t want to go without an article today, so here we are! This is an interview that I had with A Vintage Athenian a few weeks ago all about being a gentleman in the modern age. It was incredibly fun and a great experience for both of us!